One day Ghanshyam went to Suvasinibhabhi and complained, “Bhabhi, one of my molar teeth hurts a lot. I can’t even chew chapattis. Please make me some shiro.” Suvasinibhabhi willingly agreed. The shiro was ready in no time. Suvasinibhabhi called everyone to eat. She gave Dharmadev, Rampratapbhai and young Iccharam chapattis and gave Ghanshyam the shiro that she had specially perpared for Him. Ghanshyam shared some of His shiro with His younger brother Iccharam. Having barely eaten even two morsels of shiro, Ghanshyam got up, washed His hands and went outside. Seeing this, Suvasinibhabhi came out after Him. “What’s wrong? Is your tooth paining you a lot?” she enquired. “Yes, it hurts a lot. It is loose and wobbling a lot too. Please pull it out,” said Ghanshyam, opening His mouth for His bhabhi. Suvasinibhabhi checked the tooth. It was very loose; she had it out within no time. Just then, Ghanshyam pointed out a second tooth, “This one hurts too. It’s a bit loose as well; please pull it out.” Suvasinibhabhi complied. But then Ghanshyam pointed to a third, then a fourth....With His godly powers, Ghanshyam made all of His teeth loose and in turn had them pulled out one by one. Before she knew it, Suvasinibhabhi had pulled put all of Ghanshyam’s teeth. Seeing the collection of teeth that had been pulled out, Bhaktimata became worried too. Fearing the worst, she requested Ghanshyam to open His mouth. Ghanshyam opened His mouth, but to Bhaktimata’s and Suvasinibhabhi’s astonishment, Ghanshyam had a completely new set of 32 teeth! They were amazed beyond belief. Ghanshyam immediately picked up all the teeth that had been pulled out, and held them in His fist. Suvasinibhabhi asked Him to let her see them. Ghanshyam opened His fist, and to everyone’s astonishment, there were pearls instead of teeth! Ghanshyam lifted His hand high, and divine swans from Maansarovar came flying to Ghanshyam, and, one by one, took a pearl each in their beaks from Ghanshyam’s hand and flew off. Bewildered beyond belief, Bhaktimata and Suvasinibhabhi bowed to Ghanshyam, recognizing Him to be Bhagwan Himself. “Yes, father,” said Ghanshyam, as He went back inside. Ghanshyam went to get one, and to His father’s astonishment was back with the leaf in no time at all. “We only have tamarind trees in our front garden. Tulsi leaves grow at Narayan Sarovar,” Dharmadev said confidently. “If you don’t believe me, come and see for yourself,” said Ghanshyam. Dharmadev came out on the porch and to his amazement, he saw tulsi shrubs instead of tamarind trees! There was also chandan, gulal, kumkum and flower petals sprinkled all over the yard. His eyes were still. Just then, Bhaktimata and Suvasinibhabhi arrived. Puzzled by this scene, they asked Dhamadev, “Who spilled all this kumkum in the front yard?” And where did all these tulsi shrubs come from?” Dharmadev, still confused, pointed to Ghanshyam who was smiling. What really happened was that when Ghanshyam came out to play, Devas had come from heaven to perform Ghanshyam’s puja. It was a typical day in Chhapaiya. In the afternoon, Ghanshyam, His younger brother Iccharam and His friends went to the outskirts of the village to play. They started swimming in the Meen Sarovar (Lake) and began to play a game of 'Chase and Catch.' The game continued till evening. Just then it began to rain. Everyone took shelter under a banyan tree and thought that the rain would stop in a little while. Then they would make their way home. But, the rain got heavier and heavier. It got darker and darker as the heavier clouds came in. The sound of thunder filled the skies. Iccharam and a few of the other younger boys started crying. The water-level in the Sarovar was increasing. Within a short time the water rose higher and flooded the surrounding area. They all quickly climbed onto the tree. Water was everywhere. Even Veni, Madhav and Prag started to worry about how they would get home. Iccharam asked Ghanshyam, "What will happen now? How will we get home through all this water? If I tried to walk through this water, I'd drown." Ghanshyam consoled everyone with words of encouragement and said, "There's no need for anyone to be scared. Come on, let's get down from this tree. I'll lead the way. Iccharam, you hold on to my clothes and walk behind me, and everyone else hold on to the clothes of the boy in front of you. We'll walk over the water. The rain won't even wet us." Saying this Ghanshyam got down first. He kept Iccharam behind Him, then Veni, then Prag and so on. They all held on to each others' clothes. As soon as they climbed down the tree, they were all lifted with Ghanshyam above the water. In this manner they all walked in line to the village. The rain poured on either side of Ghanshyam and His friends. They soon crossed the Meen Sarovar. Dharmadev, Bhaktimata and all the other parents had come looking for their children. They all saw this spectacle from a distance and were amazed. They saw a divine radiance shining from Ghanshyam's body. From a distance, they all bowed to Ghanshyam, recognizing Him to be God. Everyone was relieved to have their children home safely. They all bowed to Ghanshyam and returned happily to their homes. In the Sanatan Dharma there is the tradition of 16 sanskars. Sanskar here means sacrament, a type of ritual. From before birth till death, a total of 16 sacraments are performed on a person. The eighth is known as Chaul Sanskar. This is the first shaving of a boy's hair, at the age of one, two, three or five. It varies in different communities. After shaving, the boy has a bath, His parents arrange a special dinner for relatives and friends. When Ghanshyam was three years old, Dharmadev arranged the Chaul Sanskar. After deciding an auspicious day and time, he invited a barber named Amai. Little Ghanshyam sat obediently in Bhaktimata's lap. After wetting the hair, Amai, began shaving with a razor. Ghanshyam did not cry. Bhaktimata's relatives sat nearby, humbly doing darshan of the divine child. When the hair was half shaved, Amai suddenly stopped. He just stared blankly, with his mouth half open. "What's the matter Amai!" asked Bhaktimata. "Finish the shaving." "Um..." he mumbled with fright. "Mother, I... I can't see your little prince. How can I finish shaving? I am afraid." His face looked a little horrified. Beads of sweat appeared on his forehead. Poor Amai ! Bhaktimata smiled and realized that Ghanshyam had made Himself invisible to Amai. One of His miracles again. She then whispered in His ears, "Ghanshyam, please let Amai finish shaving. A half-shaven head will not look good, will it?" Ghanshyam looked up at her innocently with a slight grin on His face. "Go on, make yourself visible," pleaded Bhaktimata. Instantly, Amai could see Him. He let out a sigh of relief and then carefully finished shaving. Thereafter Amai gently massaged a fragrant oil on Ghanshyam's head. Then he prostrated to Ghanshyam, realizing that the little child was God Himself. Who else could perform such a miracle? Dharmadev then offered him dakshina, but he refused. He was fortunate enough to have received the seva of such a divine child. Bhaktimata and the other women lovingly stroked Ghanshyam's gleaming head. Now, He seemed to radiate even a greater divine aura. He then went off with his friends to bathe in Narayan Sarovar. Dharmadev offered dakshina to the Brahmins. Bhaktimata and the other women began preparing food for everyone. Around the time when Bhagwan Swaminarayan incarnated, life in 18th century India was difficult. People earned money by whatever means they could. Most lived by farming. The poor lived by working as labourers for farmers and merchants. Brahmins usually lived by performing puja rituals for people. Bhagwan Swaminarayan's parents, Dharmadev and Bhaktimata, were Brahmins. Dharmadev was a famous pandit in Sanskrit. Rampratap, His eldest brother, was a soldier in the king's army. Dharmadev and Bhaktimata often wondered about Ghanshyam's future. Would he become a great scholar, a business merchant or a soldier? How could they find this out? There is a saying that a child's virtues can be known when he is in the cradle. So, one day, Dharmadev thought of a brilliant plan. He placed a shastra , (a Holy Scripture) a shining gold coin and a small gleaming sword on a low stool near Ghanshyam's cradle. Little Ghanshyam was watching his father with curiosity. He stared at the three objects on the stool. Then He climbed out of the cradle and toddled forward on his knees. His face beamed, mouth open. In a corner of the room stood Dharmadev and Bhaktimata, watching eagerly. As Ghanshyam reached the stool, He put His hand straight on the shastra . He tried to pick it up with His little hands. He did not even glance at the shining gold coin or sword. Dharmadev and Bhaktimata rushed forward in joy to hug Him ! Now they knew that He would become a scholar. Without saying a word, Mulji left the house. Bholanath was pleased. He thought that Mulji had gone to play with his friends. Mulji, however, went to see what the old men were really doing. He saw the old men sitting in the village square gossipping. None of them were worshipping God. This Mulji was none other than our Gunatitanand Swami. Mulji explained to everyone: Without any strength left in my old legs, how can I walk to the mandir? My old eyes are unable to do the darshan of God. There is no strength in my hands to do anything. How can I do mala? How can I perform seva? Even though we are young, we should not be lazy in doing puja, dandvats, pradakshina, mala, etc. There was a Brahmin named Shitaldas who was a true devotee of God. Hearing of the greatness of Ramanand Swami, Shitaldas travelled to Loj for his darshan. However, he was saddened to hear the news of Ramanand Swami’s recent demise. Just when he was thinking of returning home, Shriji Maharaj put him in samadhi (divine trance). In samadhi, Shitaldas had darshan of the 24 avatars of God and Ramanand Swami humbly praying to Shriji Maharaj. He performed the puja of Shriji Maharaj. Then he wished to perform the puja of the infinite muktas (released souls). Reading his mind, Shriji Maharaj commanded him to wish: “If each of the avatars and Ramanand Swami are God, then may I assume infinite forms.” Shitaldas wished accordingly, yet he did not assume infinite forms. Shriji Maharaj then commanded him to wish: “If Shriji Maharaj is the supreme God, then may I assume infinite forms.” Shitaldas wished accordingly, and instantl, he assumed infinite forms. Happily, he performed the worship of all the muktas. Through samadhi, Shitaldas experienced that Shriji Maharaj was greater than the other avatars. To master just one aspect of ashtang-yoga takes a lifetime. But Shriji Maharaj was sarvopari Bhagwan (supreme God). Just as he was sarvopari, his method of instilling true conviction in the hearts of all was sarvopari too. Thousands of people experienced samadhi by having his darshan, by hearing his spiritual discourses, and even by just reciting his name. No other avatar has previously shown such greatness. INSPIRATION: One must develop firm conviction that Shriji Maharaj is sarvopari. There was a young boy named Shulak Pagi. His father had planted melons on his farm. The boy decided, “As soon as the melons are ripe, I want to take the first melon and offer it to Shriji Maharaj.” In a short time, the melons ripened. The boy took one melon and left his home to offer it to Shriji Maharaj. He fought with his mind throughout the journey. The all-knowing Shriji Maharaj knew of the intense battle that the boy had courageously fought with his mind. When the boy reached Vartal, Shriji Maharaj lovingly called him and asked for the melon. He ate a piece and offered the rest as prasad (sanctified food) to everyone in the sabha. Shriji Maharaj was extremely pleased with the boy and gave him five kilograms of sakar (sugar pieces) as a gift. Shriji Maharaj knew that only he who battles with his mind can save himself from bad company. Only he can do satsang. In the village of Mahelav lived a satsangi named Dhoribhai. Dhoribhai had a six-year-old son named Dungar. Every night, Dhoribhai would tuck Dungar into bed and tell him stories from the Bhagvat and Ramayan. One night after dinner, Dhoribhai told Dungar stories about God. After Dungar fell asleep, Dhoribhai left for the farm. Dungar woke up at midnight and looked around for his father. Not seeing his father next to him, Dungar guessed that his father had gone to the farm. He decided to go to the farm too. Dungar Bhakta is none other than Shastriji Maharaj. He was fearless from childhood. 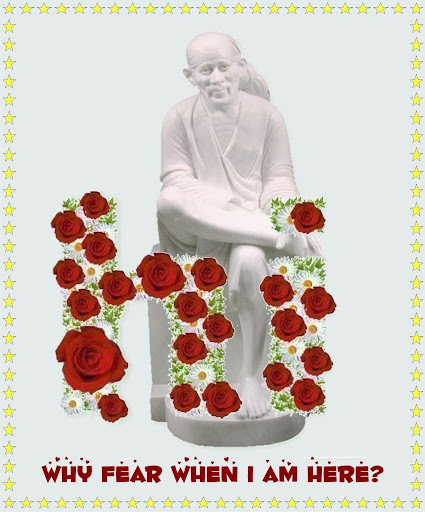 He had unflinching faith in the Swaminarayan mantra. INSPIRATION: Whenever you are put in a frightful situation, chant the ‘Swaminarayan’ mantra. Parvatbhai, of the village Agatrai, was a staunch devotee of Shriji Maharaj. Though a householder, he was unaffected by the activities of the household. Once while at his farm, he suddenly thought, “God had incarnated as Varah (the boar). What must that have been like?” Instantly, he saw the Varah incarnation of God. After some time, he saw the Kurma avatar of God. One after another, he saw the Vaman avatar, Ram avatar, Krishna avatar, Buddha avatar... All of the 24 avatars were before him. He thought to himself, “What is happening?” Shriji Maharaj knew his wish to see the Varah avatar through his antaryami (all-knowing) powers. Shreeji Maharaj reasoned, “Today, he wants to see Varaha avatar and tomorrow someone else. So let me show him all the avatars. With that thought, Shriji Maharaj fulfilled Parvatbhai’s wish. While still engrossed in the 24 avatars, Parvatbhai remembered Shriji Maharaj and thought to himself, “Who is the cause of these 24 avatars?” Instantly, one by one each of the 24 avatars were absorbed into Shriji Maharaj. He saw all of this happening right in front of his eyes. Parvatbhai’s joy knew no bounds. “Amazing! Look at Maharaj’s power,” said an overjoyed Parvatbhai. Parvtbhai understood that only he who is supreme can merge the 24 avatars in himself. Shriji Maharaj is truly sarvopari Bhagwan. INSPIRATION: Shriji Maharaj is the cause of Ram, Krishna, and all the avatars. He is supreme. Sometimes we convince ourselves that it's ok to break a niyam once in a while. However, Dungar Bhakta (Shastriji Maharaj's name as a child) did not care what the occasion was or whom he was with. Following his niyams came first. Ever since Dungar Bhakta was young, he always stood out amongst a crowd of kids. His behaviour and his talks were so unique; it even amazed many adults! Other children would call Dungar Bhakta to play hide and seek with them. However, Dungar Bhakta would be busy building mandirs out of sand. He even used to make murtis out of mud and offered thal to these murtis. When he was six years old, Dungar Bhakta traveled to Karamsad with his family to attend a wedding. On reaching Karamsad, everyone, including his father was busy enjoying the wedding. Can you guess what Dungar Bhakta did? He found the village mandir and started his daily routine of seva and bhajan. He was gone for a long while, however, because of the festivities of the wedding, nobody realised he was not around. It was at lunchtime when everyone started looking for him. His father was sure that they would find Dungar Bhakta at the village mandir! And he was right! They all invited him to have lunch with the rest of the family. Dungar Bhakta flatly refused to eat, since it was Ekadashi. Over 400 people attended the wedding. They all pleaded with Dungar Bhakta to come and join them for lunch. Finally, Dungar Bhakta explained, " From all the discourses I have heard, I understand that to eat regular food on Ekadashi is like eating meat"! Everybody was stunned to hear such a young boy talk about Ekadashi. They realised how right he was and then immediately arranged for farali food (foods which can be eaten on Ekadashi). It is easy to see why adults and youngsters alike were impressed with Dungar Bhakta's faithfulness in following Shriji Maharaj's agna. Millions of Krishnas join their hands, millions of Vishnus bow their heads, Millions of Shivas meditate, millions of Brahmas deliver knowledge where the Sadguru (sadhu of highest-level) celebrates the festival of Spring. He then stopped playing ras (dance) and touched Gunatitanand Swami's chest by pointing the stick towards him. He asked Muktanand Swami and Anand Swami, "Who is that Sadguru?" The sadhus humbly folded their hands and replied with one voice, "You, Maharaj! You are that Sadguru. Who else could it be?" Maharaj made everyone silent and said, "I was praising the Sadguru, not Myself. I am the Supreme God. The Sadguru is none other than Gunatitanand Swami. He has accompanied Me to help spread My true identity.” Everyone was stunned and astonished on hearing the glory of Gunatitanand Swami from Maharaj's own mouth. From their first encounter, Maharaj had revealed the glory of His choicest devotee and living abode, Gunatitanand Swami. At that time Maharaj, known as Nilkanth Varni, addressed all the devotees and stated, "This Mulji is in constant union with Me and in future he will spread My glory. He is My very abode - Akshardham." Thus, Maharaj revealed Gunatitanand Swami's true greatness for the first time. On numerous instances Maharaj Himself had explained the glory of Gunatitanand Swami. As a result, the importance of Gunatitanand Swami became known. After Shriji Maharaj left this earth, Gunatitanand Swami became His successor and continued His work. He spread the true message that Maharaj is the Supreme God. Zamkuba was the Queen of Udaipur. Once she heard someone speaking about the greatness of Shriji Maharaj. After that, devotion to Shriji Maharaj had grown in her heart. However, although she was spiritually inclined, her husband, the king, was demonic. He would not let Zamkuba worship God. Eventually, Zamkuba decided to leave her kingdom to worship God. One night, she made a rope by tying her saris together and climbed down from her palace window. After escaping, she walked towards Gadhada where Shriji Maharaj was staying. In the morning, the king sent soldiers mounted on horses in all four directions to search for the queen. To avoid detection, Zamkuba spent three full days and nights hiding inside the rotting corpse of a dead camel! On the fourth day, she joined a group of satsangis who were going to Vadnagar. When they reached Gadhada and had darshan of Shriji Maharaj, she felt an indescribable peace in her heart. At that moment, she decided to stay in Gadhada. After some time, Shriji Maharaj renamed her as Mataji and sent her to Bhuj to stay with Ladhiba. At the end of her life, Shriji Maharaj came to take her to Akshardham. INSPIRATION: We should develop such zeal to worship God. Many times we hear news that a volcano erupted or an earthquake hit a certain part of the world, causing death, grief and sorrow. On the other hand, we also hear that many people survive great disasters and overcome hardships in their lives. Who controls all of this? We should understand that not even a blade of grass moves without Shriji Maharaj's wish. Knowing Maharaj to be the controller of all, we can face or accept anything in our lives. A brave boy's story will help us realise what type of understanding we should have about Maharaj. In the time of Bhagwan Swaminarayan, His sadhus travelled from village to village talking to people about His greatness. A young boy of Jagamedi came across these sadhus and decided to become a Swaminarayan disciple. Daily he would do his puja, tilak-chandlo, go to the mandir and pray to God. The boy's father was against the Swaminarayan faith. The father scolded and threatened his son everyday. Despite this, the boy did not give up his faith in Maharaj. One day the father angrily shouted, "If you do not stop saying the Swaminarayan mantra, I will kill you." In a brave tone, the boy said, "No matter what comes my way, I will not stop worshipping Bhagwan Swaminarayan." This made the father so mad that he tied his son to the front part of a cart. He stood behind the cart and said, "If you do not give up the worship of Swaminarayan, I will raise the cart and you will die." In the end, the father raised the cart because his son did not budge from his belief. The boy of Jagamedi went to Akshardham, blissfully chanting the Swaminarayan mantra. When Maharaj heard this news, He was very sad and said that the boy was a true devotee. In our daily lives we too, should develop a firm belief like that of the boy. Come what may, with Shriji Maharaj and Pramukh Swami Maharaj by our side, we can overcome anything. Sometimes things may not go our way but we have to remember that it is all Maharaj's wish. Everything He does is for our own good. Would a Lion Eat Jalebi? Gunatitanand Swami arrived in the village of Maliya. Ramo Hati sat under a neem tree in the village square. He was eating meat and drinking alcohol. As Swami passed by the neem tree, he saw what Ramo Hati was doing. “It is not his food. That’s the food of humans,” replied Ramo. This was the power of Swami’s words. His spiritual talks made evil people become good . People who listened to his spiritual talks become pure. Swami changed their lives. INSPIRATION: Eating meat or eggs is a form of violence. Eating meat or eggs ruins our health. Eating meat or eggs is a sin. Page created in 0.755 seconds with 69 queries.